Integrated estimating and budgeting = accurate and confident forecasts. 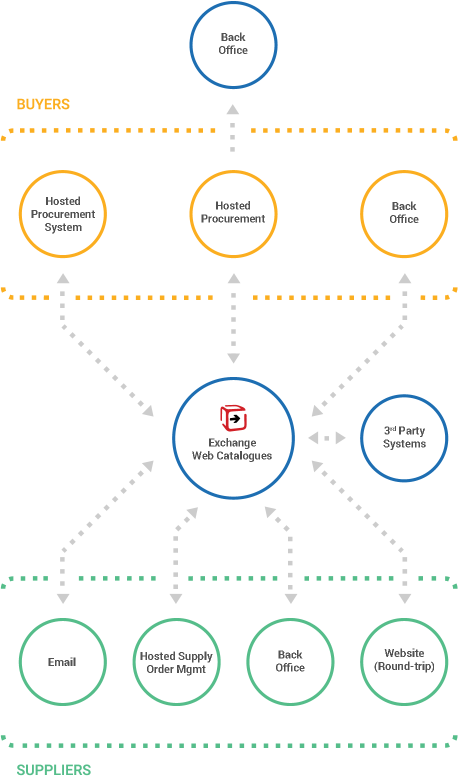 The cost management solution eliminates delays due to inefficient processes & spreadsheets by connecting your teams, systems, and processes on a single source of truth. Forecast project costs and schedules. Track actuals, commitments, and potential changes across every level of the Cost breakdown structure. Import your private suppliers, organise them with custom classification schemes and enable them to maintain their own data. Prequalify and compare contractors with custom apps and view scoring reports. Track supply chain spend using Apps or Adoddle procurement. Generate spend analysis reports and Track rebate calculations. Collaboratively manage contracts, trade agreements and performance reviews, with notifications for accreditation and terms reviews. Full audit trail of contractual changes. Browse suppliers’ online catalogs with your agreed rates, and raise purchase orders or receive invoices for the items you purchase directly within Adoddle. Raise orders from catalogues or using an RFQ workflow. Create blanket orders and set authorisation levels for call-off orders. Configure approval rules to match your process. Compare items across catalogs and save item lists. Track spend and performance against budget at multiple levels. Complete audit history available at all times. Adoddle can host your electronic product catalogs and enable your customers to directly send you orders. You can update the supplier or customer and directly send invoices back, all with only a web-browser! Provide buyer-specific product catalogs with rich content such as product images. Dynamically update catalog data for price sensitive items. Electronically receive orders from buyers. Create advance shipping notes and issue to buyers. Create invoices from orders upon order fulfilment. Access Adoddle on the web or integrate it with existing accounts systems to eliminate data-duplication and re-keying. No more time-consuming month-end reconciliations of orders and invoices. Get a real-time view of all transactions, with invoice/order matching so you can easily spot exceptions. Incorporate delivery logistics and goods receiving into your procurement process with Adoddle. Suppliers can raise advance ship notes and generate delivery tickets. Site receiving teams can use Adoddle’s mobile goods receipt app to see a list of expected deliveries and record receipt, including partial shipments, and defective items. Receipt notes are electronically routed to the supplier. Central procurement team-members can view real-time 4-way match reporting (order to invoice to delivery ticket to goods receipt note). Model contractual relationships Track contract change. Track impacts on cost and schedule against baselines in real-time. Easily work with custom contractual clauses. Track budget, commitment, profit, and cash position in real-time. Record potential future costs. Receive and approve invoices from suppliers and contractors. Build your own applications to run on the Adoddle graphical development environment. Build, test, and deploy custom applications. End users can now create web applications. Capture all your site quantities with ease. Generate Inventory requisitions and Site payments. Track spend with your supply chain using either simple data capture forms or through an automatic integration with Adoddle Procurement. Easily build custom reports on any information captured in Adoddle and create custom dashboards, with scheduled reports.